In our laboratory, we are investigating important questions at the interface of chemistry, biology and medical research, employing a combination of analytical chemistry, physical chemical and electrochemical techniques as well as experimental methods in molecular biology and biochemistry. Disease detection, quantification of cell membrane receptor activity and position, monitoring the correlation of membrane pumps with feature activity, and electrochemical sensing of receptor-drug interactions are focus of research in our group. We are currently working on projects in the fields of endocrinological diseases, antibiotic drug resistance in pathogens, mitochondrial dysfunctions and cancer development. Our laboratory uses mass spectrometry, especially matrix-assisted laser desorption/ionization (MALDI), to study the composition and structure of proteins, glycoproteins and oligosaccharides. 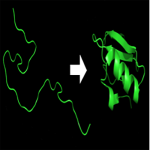 Glycans found in antibodies are a main focus area and for these we develop sample preparation techniques using pull down, chromatography and electrophoresis to make samples amenable to mass spectrometry. We also use electrospray ionization (ESI-MS). Research in the Tomy group focuses on developing analytical methods to measure chemicals used in commerce that have the potential to be persistent, bioaccumulative and toxic. We use high resolution mass spectrometry to unearth previously unreported chemicals in the environment. The Budisa research group focuses on the vision to create artificial biodiversity with new genetic codes to elucidate life on a molecular level and to develop related technologies. This requires an interdisciplinary approach at the interface of the chemistry, biology and physics. Our core competencies include protein and proteome engineering through directed evolution based on the in vivo incorporation of noncanonical amino acids during ribosomal translation. Of course, that would never work without chemistry. Therefore, we are performing various organic syntheses, mainly of bioorthogonal amino acids, and investigate their effects on model peptides, proteins, protein-based complex scaffolds and whole cells (populations). Our past experience combined with unique know-how motivates us to further advance our research into the elucidation, engineering and control of cellular processes in a chemical way. We anticipate this as the most promising path to create synthetic life forms. The Khajehpour group studies interactions that cause proteins to fold correctly. 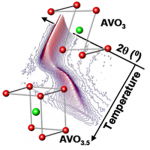 Folding processes in proteins are studied both from kinetic and thermodynamic standpoint. The techniques used in these studies are steady-state and time-resolved fluorescence spectroscopy, differential scanning calorimetry, stopped-flow and temperature-jump relaxation spectroscopy. 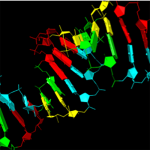 We study the structural and molecular biology of protein-nucleic acid interactions. We are focused on understanding (i) the role of RNA-protein interactions in mediating the host cell immune response to viral infection, and (ii) investigating RNA quadruplex structures and their interactions with quadruplex-specific helicases. Proteins carry out their biological functions through changes in conformation. 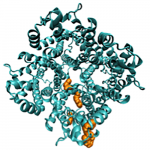 We measure protein dynamics by NMR spectroscopy and hydrogen exchange chemistry to determine the timescale and magnitude of the conformational changes that explain the activities of a membrane protein, an HIV transcription activator and a viral enzyme. The Sorensen group has an ongoing research program that is focused on the biosynthesis of natural products. Our main interest is the biosynthesis of polyketide natural products in lichen and other fungi. 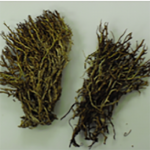 We are also examining the biosynthesis of novel natural products in soil fungi. We have other projects aimed at the synthesis of small molecules with biological applications. The primary goal of our research is to understand in detail the structure-function relationship of proteins as dynamic systems. We are mainly focused on signaling linked to catalytic turnover, the storage function of coiled-coil domains and mechanisms of complex formations and signal transduction within the extracellular matrix. Our research focuses on the preparation of novel inorganic solids and the investigation of their physical properties in an attempt to establish structure-property relationships. The materials of concern belong to the groups of transition metal oxides, lanthanide oxides and metal oxychlorides. 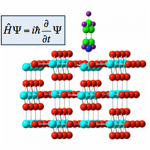 The investigation of physical properties, crystallographic structures and electronic structures allows the identification of structure-property relationships in solids. Research in the Herbert group focuses on constructing novel inorganic and organometallic compounds for use in energy and environmental applications. Taking our inspiration from nature, we try to design molecules that can enable cooperation between ligands and metals, or between different reactive sites, to facilitate challenging transformations and catalysis. 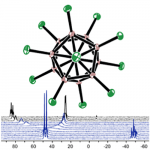 Research in our group involves the structural investigation of inorganic and organometallic materials. The principal method of characterization is nuclear magnetic resonance (NMR). 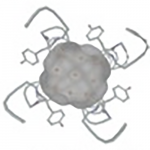 As many of the materials of interest contain nuclei with quadrupole moments, substantial efforts are devoted to the development of NMR techniques designed to probe such systems. Dr. Schreckenbach’s research interests are in the area of theoretical and computational chemistry, with a focus on the development and application of density functional theory (DFT) and other methods. Current research areas include actinide chemistry, environmental chemistry of Hg and other metals, solar energy (dye sensitized solar cells), polymer-based electronic devices, amongst others. 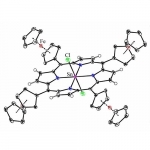 We study the development of new organometallic porphyrins and analogues and understanding of their electron-transfer and light-harvesting properties. We are interested in: (i) the fundamental understanding and improvement of structure, reactivity, and electronic interactions in complex redox-active porphyrinoid-based arrays, (ii) the search for aromatic macrocycles useful for applications in molecular electronics, light-harvesting, catalysis, and photocatalysis; (iii) the creation of new methodologies for preparation of porphyrins and their analogues with useful properties. In North America, we consume much of our energy in the form of electricity, and this is expected to rise, as we continue to transition to a carbon neutral energy economy. Chemical energy, that is, energy stored in chemical substances, can be transformed directly into electricity through electrochemistry. For this reason, electrochemical energy technologies, such as batteries, and fuel cells are of great importance in the renewable energy revolution. My research focuses on materials, which exhibit electrochemical activity for energy applications. Currently, we are investigating battery materials for Li-ion, Na-ion and all-solid-state batteries. We are exploring new chemistries to produce electrode materials and are looking at ways to simplify battery electrode fabrication. In my lab, we synthesize materials, characterize them electrochemically and chemically, and build batteries to test our newly synthesized materials. With this, we contribute to the development of cheaper and better performing batteries. Research in the Davis group focuses on exploring of the mechanisms of asymmetric organocatalytic reactions and broadening the range of organic reactions in which asymmetric organocatalysis can be applied. 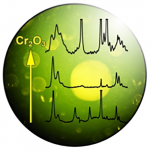 To accomplish these tasks, we employ a combination of computational, kinetic and synthetic techniques to study and develop organocatalytic and metal-organo cooperative catalytic reactions. The focus of our research is in Medicinal Chemistry. In particular, we are interested in carbohydrate-based antibacterials, antitumor agents and compounds involved in immunomodulation. In collaboration with researchers at the Faculty of Health Sciences, we are exploring the biological properties, toxicity and modes of action of our lead structures. 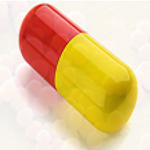 The ultimate goal is to identify drug candidates worthy for validation in clinical trials. 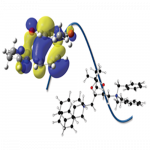 High resolution molecular spectroscopy and ab initio calculations are used to probe the lowest energy states of reactive species to gain better understanding of their structures and dynamics. 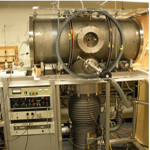 The lab is equipped with custom-built, state-of-the-art microwave spectrometers and group members are also actively involved in infrared experiments at the Canadian Light Source synchrotron facility. My primary research focus is spectrochemical imaging of heterogeneous samples, from biological tissues (Alzheimer disease brain, stressed tendons) to diatoms and composite polymers. We use both FTIR microscopy, with Focal Plane Array, and Raman Microscopy. 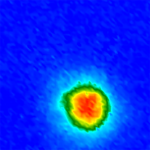 Image at left shows a senile plaque in AD brain, ~20 microns diameter, imaged with FTIR, at 1 micron pixel resolution. 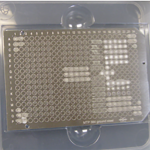 Our research focuses on electrochemically active materials for energy applications. Currently, we are investigating battery materials for Li-ion, Na-ion and all-solid-state batteries. 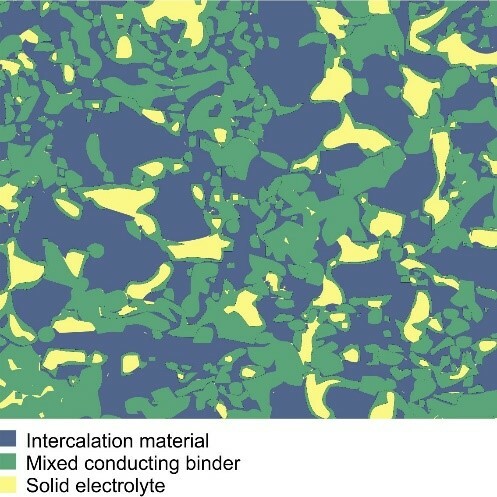 We are exploring new chemistries to produce electrode materials and are looking at ways to simplify battery electrode fabrication. To this end, we synthesize materials, characterize them electrochemically and chemically, and build test batteries. 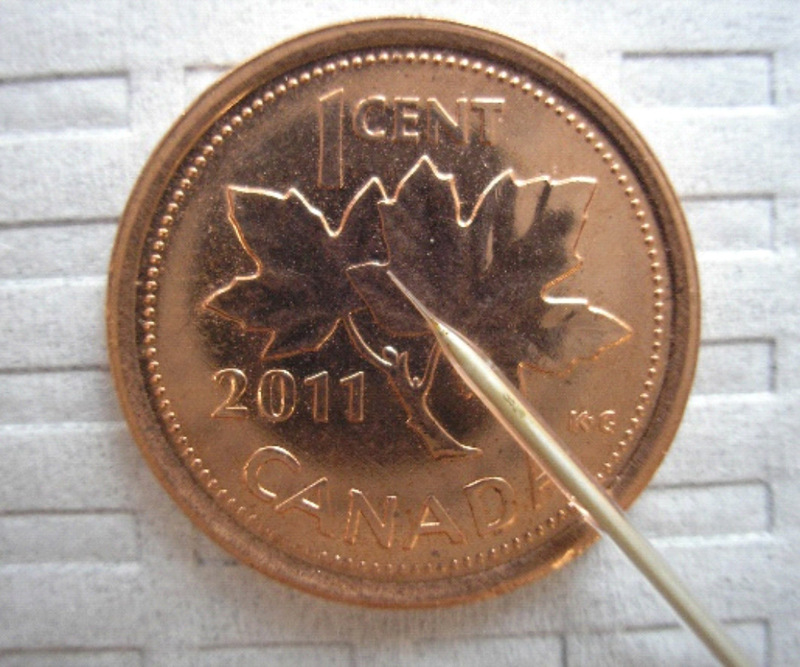 In this way, we contribute to the development of cheaper and better performing batteries. The Budisa research group focuses on the vision to create artificial biodiversity with new genetic codes to elucidate life on a molecular level and to develop related technologies.